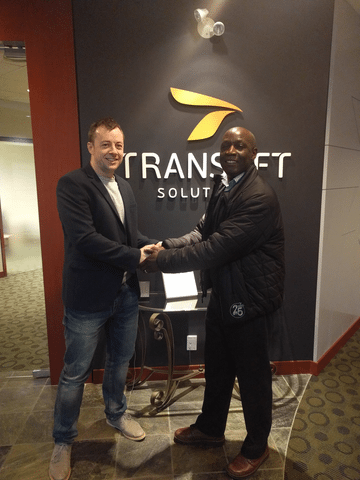 If it seems like Transoft has been growing in leaps and bounds of late you would be right to think so! Earlier this year we opened a new office in Germany and before that an office in India. Last year we added to our growing portfolio of products through the acquisition of ArcPORT. To say that we’ve been busy would be an understatement! Today we are proud to announce the completion of yet another acquisition which brings the excitement of new products and a new office location. UK based firm, Design Pro Software, led by Mr. Martin Quigley, will be joining Transoft’s expanding team bringing with him extensive knowledge of BIM related technologies and a line of Sign Design and Lane Marking solutions. While great leadership and forward thinking have been Transoft hallmarks over our 25 years, what’s been at the foundation of it all is our unrelenting commitment to 3 key pillars: our people, our customers, and our products. Martin and his team, the technologies and expertise they bring, and the quality solutions and services they provide to their customers fit perfectly with our own values and way of thinking. And that, I’d say, makes for a winning formula. Be sure to read the Press Release to learn more about this exciting news!